For over 15 years Empower IT Solutions has been assisting companies improve operational efficiency by successfully developing and deploying novel custom software solutions. As a Microsoft Partner, we use the latest Microsoft technologies to deliver solutions that help our clients achieve their business goals. Australian businesses approach Empower IT Solutions for our ability to provide them with an easy yet scalable solution to overcome their operational inefficiencies and get ahead of competition. And that’s exactly what we deliver. Our team of specialists take the time to understand key business objectives and study your current technology environment to develop custom solutions that helps meet organisational goals. We have extensive experience in healthcare, non-for-profits, education, professional services and the construction and trades industries. At Empower IT Solutions we pride ourselves in building long-term relationships and as such we often tailor our services based on client requirements. Overall the consulting services we offer can be broadly categorised into the following 6 categories. Every organisation is different so are their needs and objectives. As such, using an out-of-box software application seldom solves individual business problems. Our team are experts at creating add-on modules, or recreating a familiar structure and application; in addition to developing a tailored software solution that is unique to your organisational needs increasing operational efficiency and staff productivity. Finding a single system that is relevant to all your business needs can be quite difficult. Instead of compromising on efficiency by updating same information across different systems; Empower IT Solutions can create connectors and/or add-ons that can get different systems talking to each other automating a lot of mundane tasks. Don’t let competition get ahead of you for lack of a mobile-friendly software. Our team use the latest mobile technology to recreate mobile versions of your existing business solutions. We have built easy to use mobile interfaces for many business solutions. Check out the Mobile Supervisor Portal we have developed for one of our clients. Legacy software applications pose security risks in addition to be outdated. At Empower IT Solutions we can help modernise your existing legacy systems by replacing and updating them with the latest technologies to extend their life and safeguard your company data. We create online collaboration platforms to effectively collaborate and share ideas, co-author documents, track task status, share project reports and make informed business decisions. One such collaborative solution developed by Empower IT Solutions is the Employee Portal; an online HTML5 based intranet that allows collaboration between mobile employees and head office. We can help you reduce paper trails and replace paper-based forms and introduce digital forms with approval workflows increasing business speed, productivity and immediate cost benefits. In fact, we recently developed a tailored SharePoint based solution for the creation, approval and publication of company’s Quality Documents. 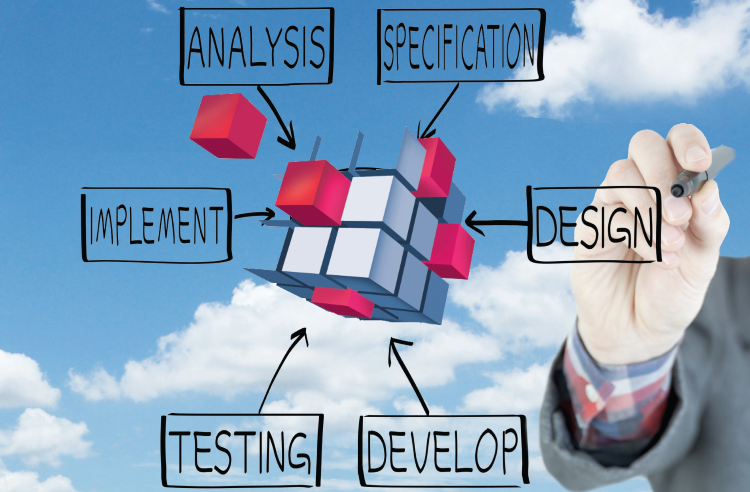 We involve clients at every step of the analysis, design, development, testing and implementation phases. We work closely with clients throughout the project phase to provide prototypes early on to include feedback during the evolution stage of development. Our team of technical and software experts are Microsoft certified and come with many years of software experience. Some technologies we use to develop include Microsoft Dynamics CRM, SharePoint, .NET, ASP.Net, C#, SQL Server, Power BI and more. Our software consulting services include an audit of your current software environment and formulating a product road map in accordance with your organisational goals. This may include, mobilising your current solutions, automation manual tasks and modernising legacy systems. .
Part of our software development service, we offer regular product coaching and training and also offer technical support post implementation. As a Microsoft partner, we focus on assisting companies improve operational efficiencies, increase employee productivity, safeguard company data and reduce project costs. Our team of experienced professionals start by understanding your systems and the associated integration. We offer a step-by-step methodology for your project. Our team are experienced and certified professionals ready to design a custom solution in accordance with your organisational needs. Call the Empower IT Solutions team on 1300 797 888 to discuss what we can do for you.